Scroll down for Sign-Up form! Running the Great South Run with Bana Tandizo Foundation is a fun way to raise money for a great cause. 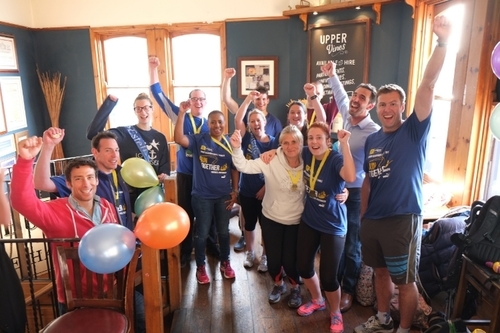 We support all our runners from sign-up to race completion and the after-party. Raising sponsorship is made easy with our fundraising team who are on hand to help you at all times. Sign up for the Great South Run 2019 by filling in the form below. By completing the form you are applying for an entry place and agreeing to raise sponsorship money for Bana Tandizo Foundation "Educating vulnerable children in Zambia for a promising future". Payment taken over the phone as applicable. If minimum sponsorship level is not met, you may be required to pay the £42 registration fee. Thank you for registration for the Great South Run with Bana Tandizo Foundation. A member of our team will contact you within 48hrs.